What an amazing week we had at the 2016 TCEA Convention & Exposition! There were more than 12,200 people in the Austin Convention Center celebrating teaching and learning. 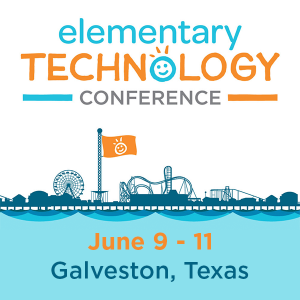 You attended more than 980 sessions, heard from 450 exhibiting companies, saw up-and-coming app developers, enjoyed TCEA radio, and trended as the #3 topic on Twitter in the USA. Special thanks for making this event so fantastic go to the TCEA Board of Directors, each of whom took a week off from their real jobs to work with our attendees. We also want to thank our unbelievable Tech Crew, the dedicated guys and gals who made sure the technology behind the scenes worked perfectly. We had more than 450 other volunteers who also stepped up to share the load; we couldn’t do it without them. While the convention was one of the best ever, what matters most now is that all of our attendees put into practice the new resources, skills, tools, and ideas that you learned while in Austin. Share with your peers who were not able to attend the convention, and make sure that your supervisors understand the value that you are bringing back. Try one new idea this week and make sure to reflect on how it works and how you can make it better the next time. If you missed a session or weren’t able to grab a handout, you can find all of the presenter resources here. We will continue to update this site as more presenters submit their handouts. Also, remember that all convention attendees receive a complimentary, one-year membership in TCEA with their paid registration. This means that you have access to more than 80 hours of great professional learning via live and recorded webinars and superb resources shared in the TCEA Community. If you’re not sure how to locate all of these, please contact our Director of Member Services Chance McKee or Membership Concierge Carrie McFarland. They’ll be thrilled to help you maximize your membership. Thank you again for such an incredible time of learning. We look forward to seeing you February 6-10, 2017 in Austin and promise to make “TCEA 2017: The Power of You” even better!